grants awarded by organisations like Scottish Borders Council, Awards for All and the Royal Celtic Society in support of the band’s work. Obtaining sponsorships from local businesses and organizations for things like bus travel to pipe band contests. Membership of Innerleithen Pipe Band is open to all, even non-players. Membership costs £10 per year. Membership forms are available to download on the Administration page and once completed can be sent, together with membership fee, to the address on the Contacts page. 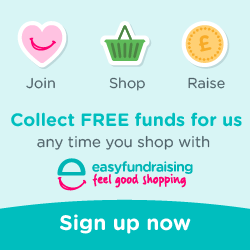 Easyfundraising is an easy way to raise money for Innerleithen Pipe Band simply by shopping online. Shop with over 2,700 top retailers. 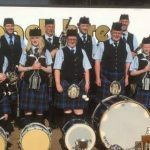 Please go to our Easyfundraising page for more details, or click the link above our opposite to sign up to start supporting Innerleithen Pipe Band with Easyfundraising. Just Giving is a secure and simple way of donating online. You can either do a one off donation of your choice or set up a regular monthly donation Click the image opposite to get started. Alternatively, you could fundraise on our behalf or contribute to one of our campaigns - click the link above to help.